Christmas may have been and gone, but I’m still clinging on the one of iconic fruits of the season. The clementines. The zesty little creature that is waiting in everyone fruit bowl waiting patiently until you’ve finished off all the meat and chocolate and until you feel guilty that you should eat some fruit. I always get through a mountain at this time of the year and stock up before the price hike after the festive season. I was a little bit over enthusiastic with my shopping and ended up with 3 big bags of clementines to be used up. Now I put up a good fight working my way through a lot of them, but (wo)man can’t live on clementines alone. 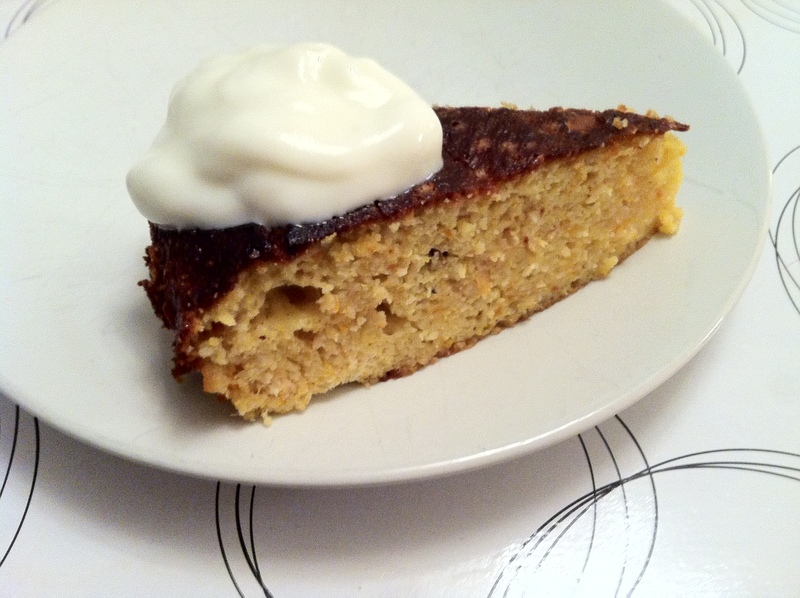 I was fortunate to try Nigella Lawson’s Clementine Cake at Christmas by a lovely family member who is a wonderful baker. A moist rich cake, made with whole clementines and ground almonds, a really treat. Also gluten free but really packs a flavour punch. After trying it, I was itching to make it myself, and with my excess bounty I scampered to the kitchen to make it myself. It really is easy to make and will keep for a few days so perfect for surprise guests. 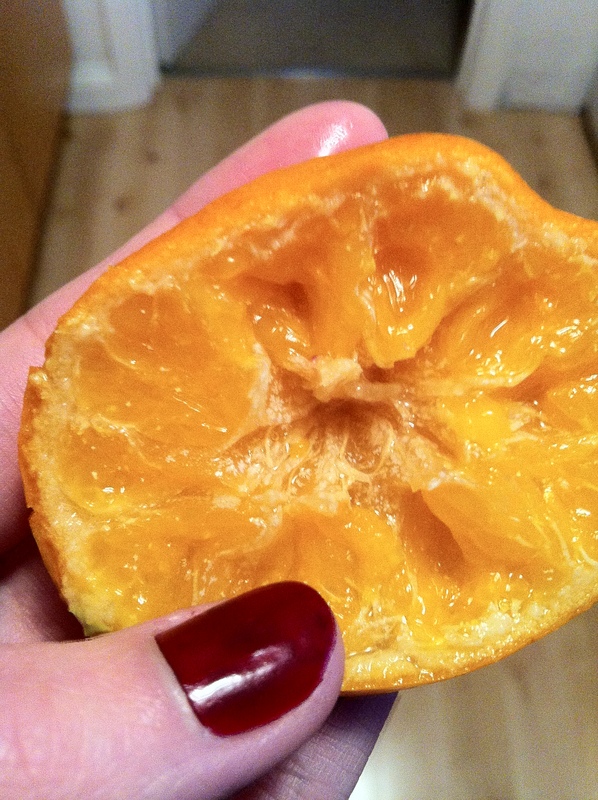 Next I want to try it out with some gorgeous blood oranges. Serves 8-10 or depending on how greedy you are! 1. 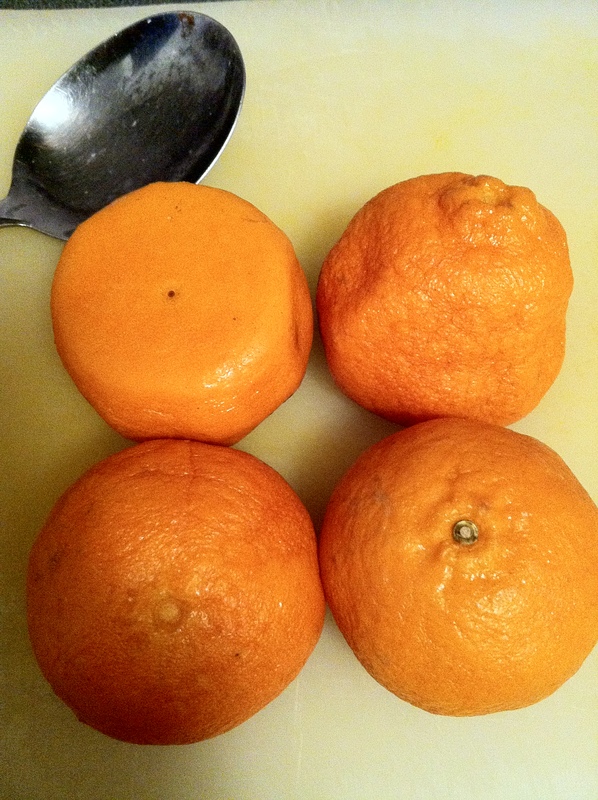 Put the clementines in a large saucepan of cold water, bring to the boil and simmer for 2 hours. Keep an eye on the water levels and top up with boiling water if needed. Also you and your kitchen will get a citrus steam facial while these are cooking. Drain and cool. The clemetines will stay hot for quite a while. 3. 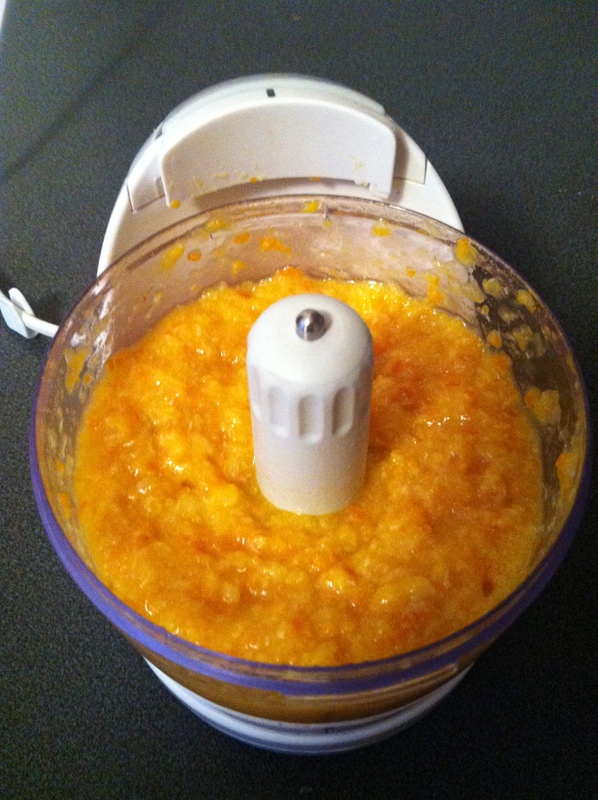 Chuck the whole of the clementines, pith and skin and all into a food processor. Whizz until a nice pulp. Again this smells amazing. 4. Preheat the oven to 190C. Grease a 21cm springform tin. 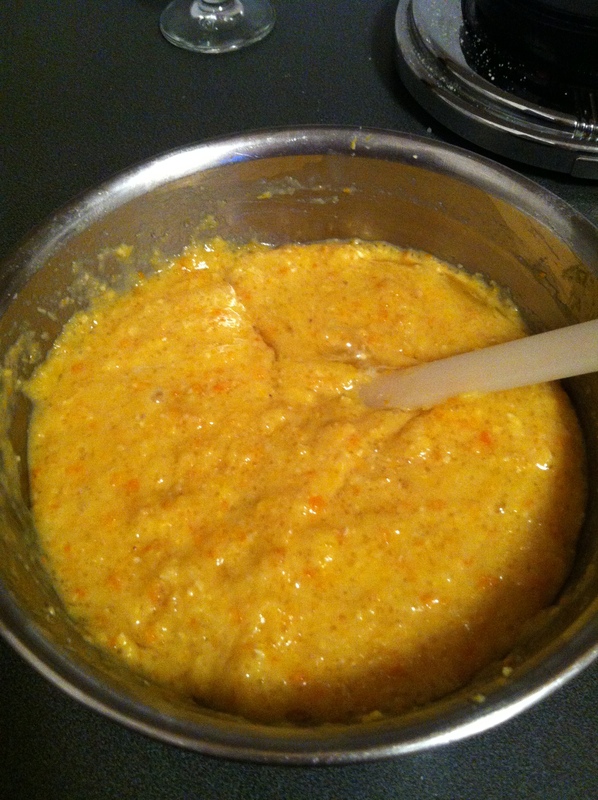 Mix in all the other ingredients until completely mixed. 5. Pour the mixture into the prepared tin and bake for an hour, but I had to cover mine after 30 minutes so the top wouldn’t brown too quickly, but it will still be a dark topped cake until a sponge. Cool in the tin. I served mine with some crème fraiche and it was divine. Give it a go!